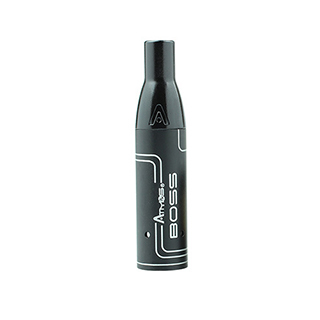 The Atmos Boss Waxy Heating Chamber is designed to evenly vaporize your waxy essence as well as your dry herbs. It features an advanced hard anodized heating chamber, capable of withstanding the wear and tear of everyday use; it also utilizes a raised airflow system, making it capable of holding more waxy essence while still promoting increased airflow. The chamber comes equipped with a redesigned easy access mouthpiece, providing smooth draws, full of rich flavor.